One of the latest scams hitting the mailbox of corporations is an offer to prepare the corporate filing documents that need to be filed with the Secretary of State annually. The letter looks official and looks like it comes from a state office in Springfield. 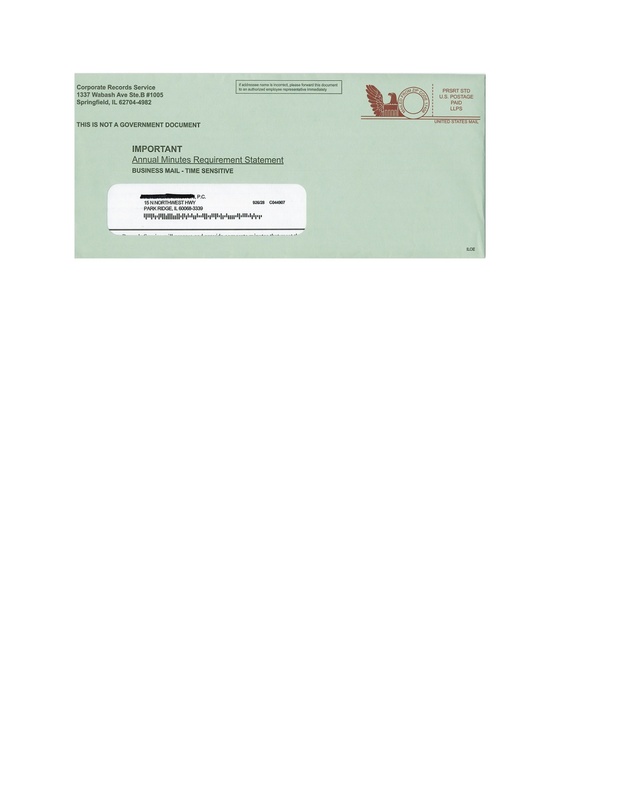 A return envelope is included to make it easy. But, it’s just another scam that targets small business owners. The scam was recently highlighted in a story in USA Today (http://www.usatoday.com/story/money/columnist/tompor/2013/08/15/small-business-scam-solicitation/2653175/). An annual report for the corporation must be filed each with the Secretary of State and a fee – based on the amount of the corporation’s stated capital – and this is required to preserve a corporation’s status and protect the personal assets of the owners. Our firm offers to do this service as part of our Corporate Maintenance Plan™ (https://www.bellas-wachowski.com/lawyer-attorney-1283840.html) in which we offer year round services to our clients to help operate your business.